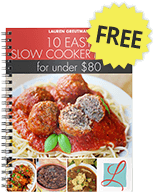 Some recipes are just so easy, so satisfying and so cheap that I could make them every week. 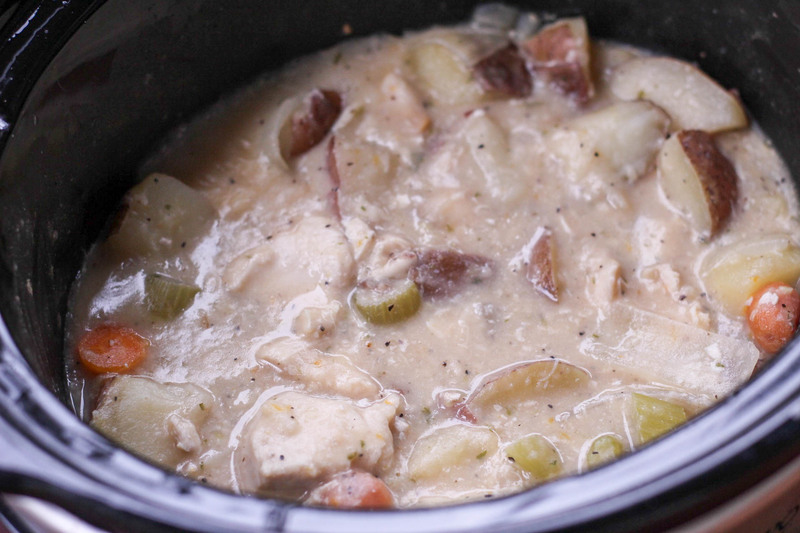 This crockpot chicken stew is one of those. In fact, I just made this for the first time yesterday, and the whole family was so thrilled with it that I just had to write up this post immediately. 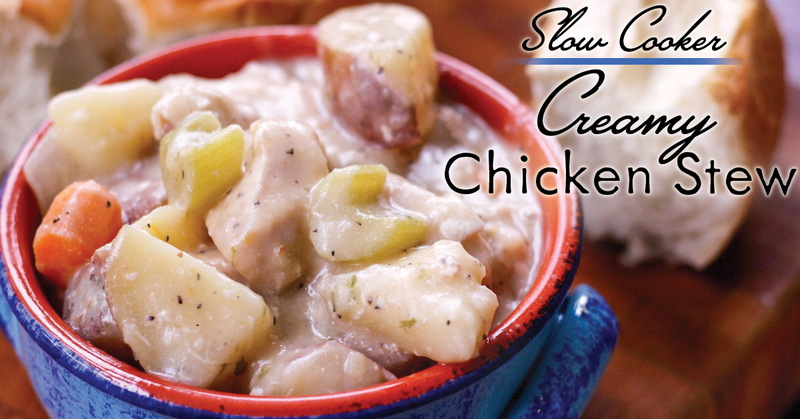 The chicken, the veges, the potatoes – this is one complete meal as-is. But, you might want some rolls to “clean” your bowl with. The gravy-type sauce of this stew is AH-MAZE-ING. Did I mention how easy it is? Or how this is the perfect freezer meal? If you don't want to make it now, you could just throw it all in a freezer bag raw (except for the butter, milk and flour) and freeze for several months. Here are the ingredients. 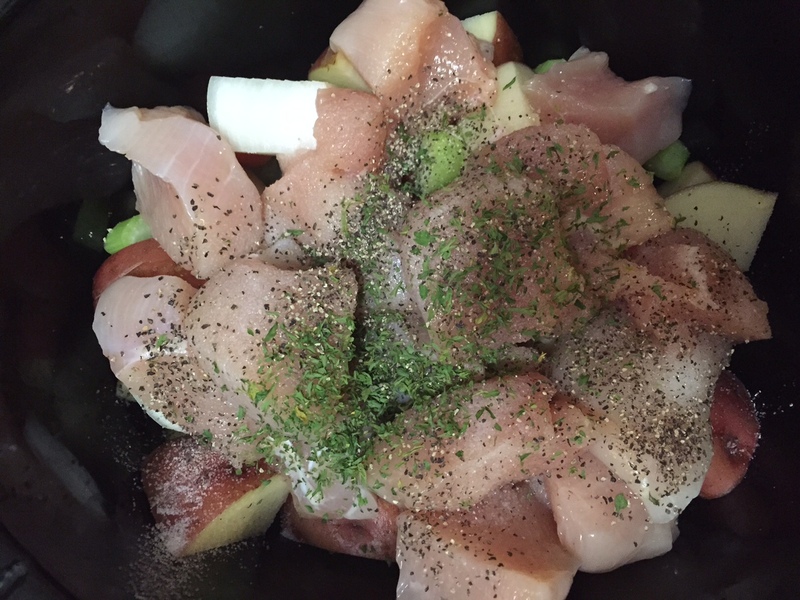 Note that I used about 1 1/2 chicken breasts in this and cut them into chunks. Also, this shows 2 celery stalks, but I only used 1. 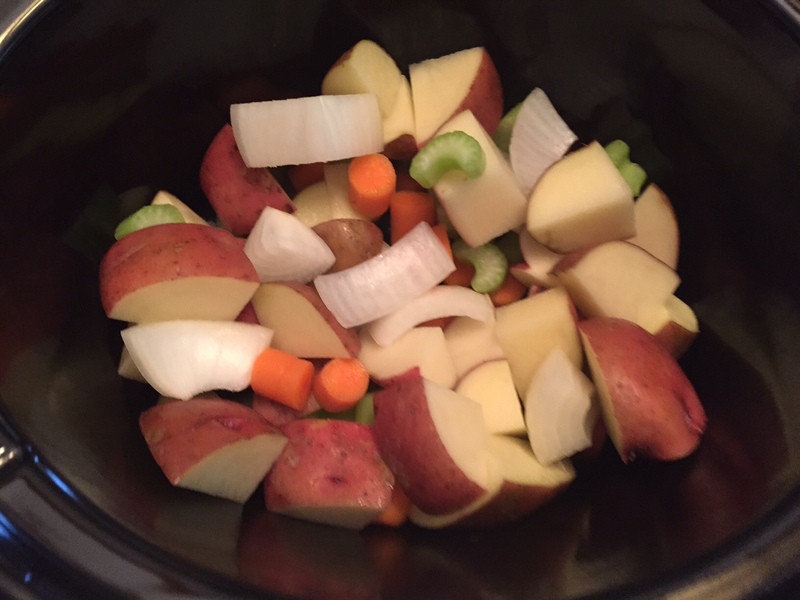 Chop up the vegetables and put them in the crockpot. Top with the chicken, spices and the water. Put the lid on and cook it for several hours (low for 8 hours, medium for 6 hours, and high for 4 hours). I usually always prefer a roux. It's smoother and has a deeper flavor. It only takes 5 minutes and is super easy. Start by melting 2 Tbsp of butter in a small sauce pan over medium heat. Once it melts, add 2 Tbsp of all purpose flour. We make our dishes gluten-free in this house, so we simply used a gluten-free baking flour. 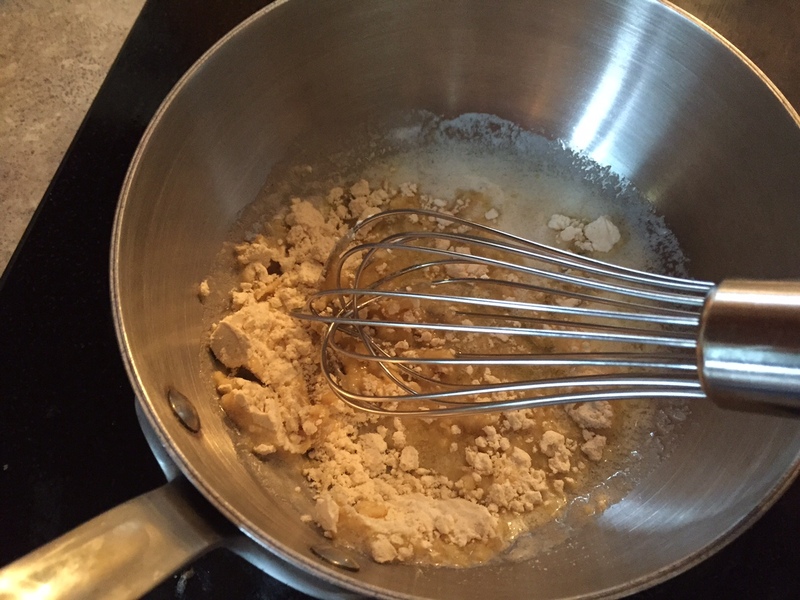 Get your whisk out and stir it constantly for a few minutes over medium heat. After about 5 minutes, it will change to a brown color. You can cook it for longer if you want and it will get darker, but you don't need to. 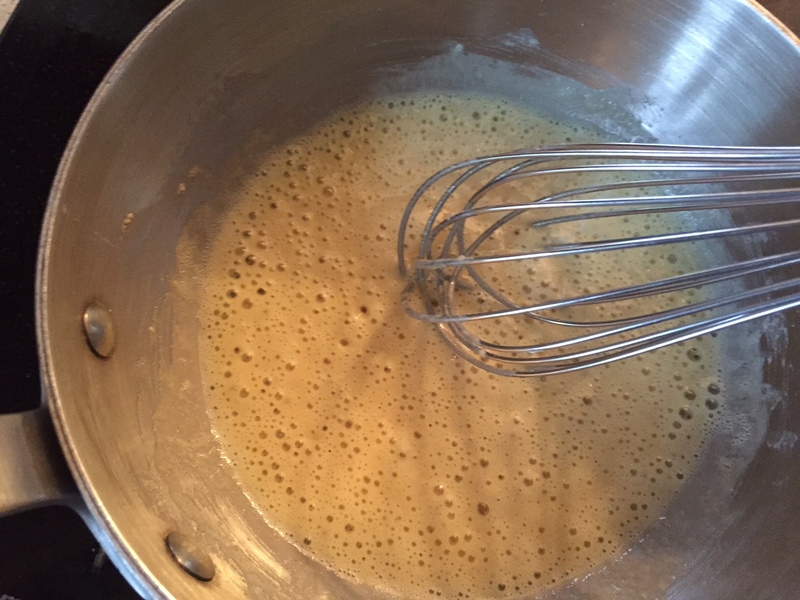 Then add the milk and whisk it for just another minute until it is blended well and is thick and bubbly. Add it back to the stew and mix it in really well. Serve it up in bowls with some rolls on the side! Enjoy! Is it ok to double the recipe? Will it come out the same? Yes it will come out the same. You may need to cook it a bit longer, but just check as you go along. Can you use Russet potatoes instead? I don’t have any red on hand.. Yes you can 🙂 Those would be great too. I made this last night and it was good but felt that I’d like to try and jazz it up a bit. I didn’t have parsley so I used rosemary instead and I’m wondering if maybe next time I could substitute white wine or beer for some of the water? 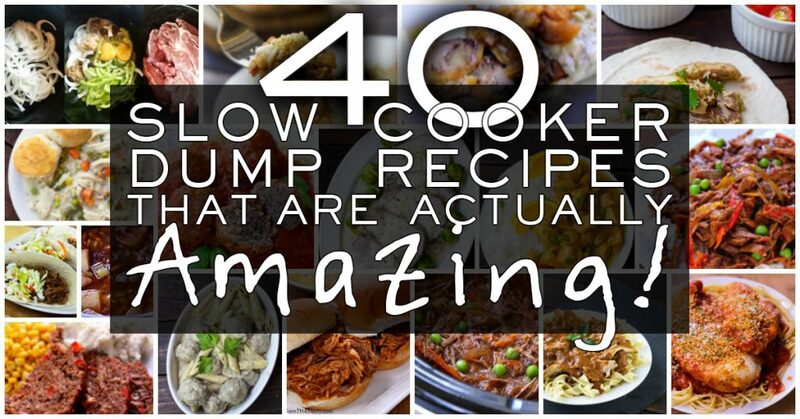 I’m new to the slow-cooking world and don’t if cooking with alcohol works…thanks for your help! You could use chicken broth instead of water. Ok, I don’t think I’ve ever commented on a recipe, but I always read the comments before I try one out to make sure it came out ok for others. So to those of you who are doing exactly that…This came out perfectly for me. 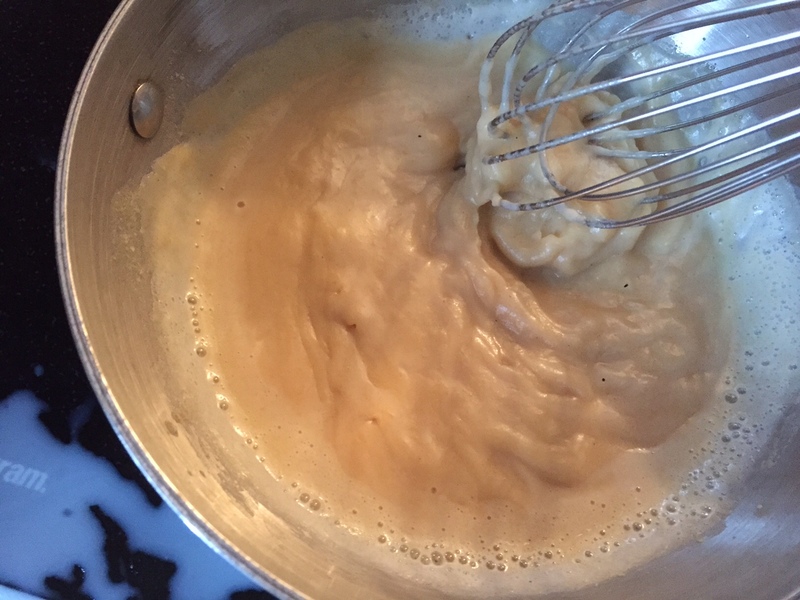 I also realized that I have been making roux incorrectly for years. Oops. So thank you for the clear instructions. The only thing I did different than the recipe was to substitute a chicken bullion cube instead of 1 tsp of the salt. Even my picky 6-year old liked this. Definitely a keeper! 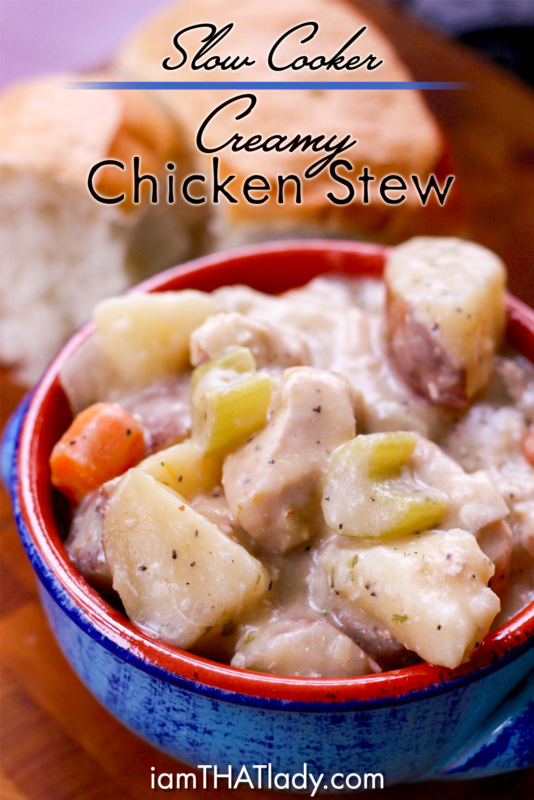 This stew is fantastic ! Also, the ease of preparation and an ingredient list that doesn’t require a long shopping trip for 20 specialty items you’ll never use again makes this an easy one to give a try. Thank you for sharing it. Thanks, Pat 🙂 It’s one of my favs too. The most boring recipe I have ever made, bar none. Americans need cooking lessons. And you need manners and to generalize less. I want to try this recipe today! Do you make the creamy sauce before serving or dump in the beginning? We are making this today for tomorrow evening meal. Looking forward to our first taste! Made this recipe today on the stove instead the crockpot. It tasted amazing! I am usually nervous trying out a new recipe because of picky eaters…My toddler ate 3 bowls…3 big bowls all by herself. My hubby texted me few times how amazing dinner was 🙂 I did use a little bit broth. Thank you, I can’t wait to try out more recipes from here! I loved this recipe. I made a homemade broth from a smoked chicken though. We made it as a gluten-free comfort food at the cidery I work at. It was well received. It is a great recipe. So quick and easy. 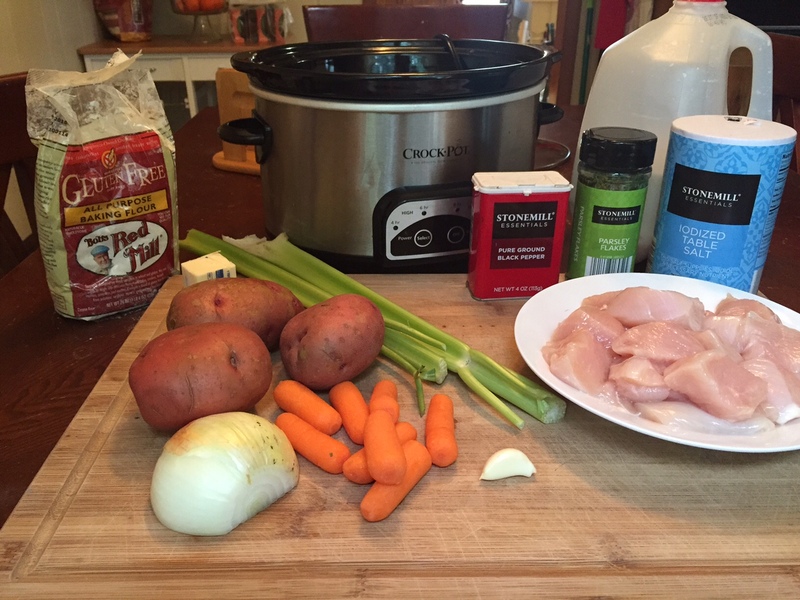 I always use stock instead of water, and usually a bit more than the recipe suggests. I have often doubled the recipe with good results. I have also used the “stew” as a filling for “pot pies”. I use an oven proof, individual bowl, fill with the cold stew and top with a puff pastry. It’s awesome. I wanted to know if there was anything specific I should do to make this more of a frozen dump meal? I don’t understand how the Roux would freeze.. Thank you! Just wondering what the nutrition is per serving or where to find the info? ( calories,protein,carbs,) etc.